Homeowners and prospective buyers look at a home very differently. When considering a remodeling project it is useful to do so from a potential buyer’s perspective when you’re thinking of selling your home. Wonder which projects are more effective for the housing market? 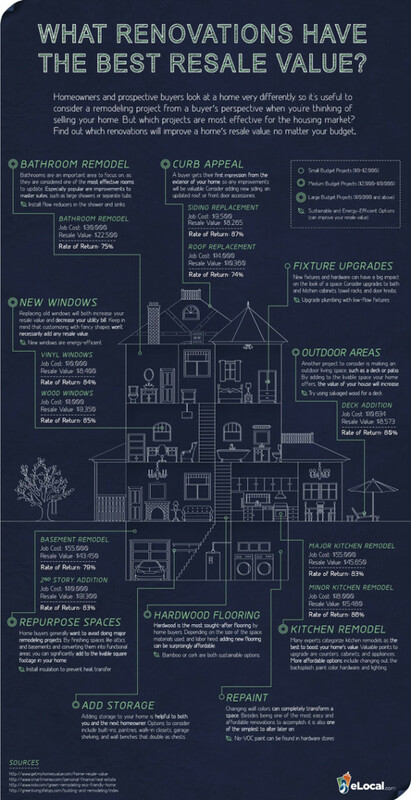 Look at the following infographic to learn which home remodeling projects are the best for increasing the sale price of your home.